The UN's political chief has said senior North Korea officials told him during his visit "that it was important to prevent war" over its rapidly advancing nuclear and ballistic missile programs. Jeffrey Feltman said that "how we do that" was the topic of over 15 hours of discussions with Foreign Minister Ri Yong Ho, Vice Minister Pak Myong Guk, and other officials. Details of the conversations emerged after US Secretary of State Rex Tillerson softened America's stance on possible talks with North Korea, calling it "unrealistic" to expect the nuclear-armed country to come to the table ready to give up a weapons of mass destruction program that it invested so much in developing. Mr Tillerson said his boss, President Donald Trump, endorses this position. 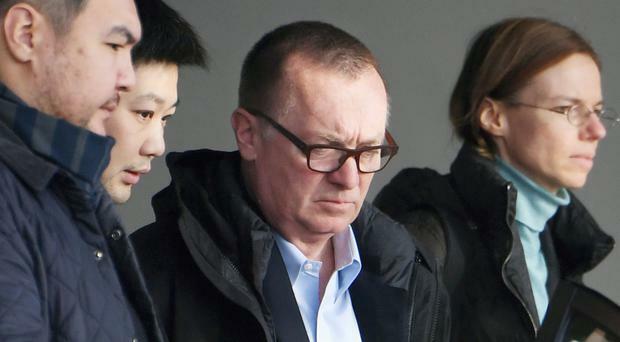 After briefing the UN Security Council privately on Tuesday Mr Feltman, UN undersecretary-general for political affairs, said he told Pyongyang officials last week "they need to signal that they're willing now ... to start some kind of engagement". "I think we've left the door ajar, and I fervently hope that the door to a negotiated solution will now be opened wide," Mr Feltman said. The developments come two weeks after North Korea conducted a test with a missile that could potentially carry a nuclear warhead to the US Eastern Seaboard - a milestone in its decades-long drive to pose an atomic threat to its American adversary that Mr Trump has vowed to prevent, using military force if necessary. "We are ready to talk anytime North Korea would like to talk. And we are ready to have the first meeting without preconditions," Mr Tillerson said at the Atlantic Council think-tank. He said that the North would need to hold off on its weapons testing. This year, the North has conducted more than 20 ballistic missile launches and one nuclear test explosion, its most powerful yet. "Let's just meet and we can talk about the weather if you want to. We can talk about whether it's a square table or a round table if that's what you are excited about," Mr Tillerson said. "But can we at least sit down and see each other face to face and then we can begin to lay out a map, a road map, of what we might be willing to work towards." Although Mr Tillerson said the goal of US policy remained denuclearisation of the Korean Peninsula, he added it was "not realistic to say we're only going to talk if you come to the table ready to give up your program. They've too much invested in it. The president is very realistic about that as well." White House spokeswoman Sarah Huckabee Sanders said in a statement later on Tuesday that: "The President's views on North Korea have not changed."